The first David Bowie album I ever bought was a used copy of Station To Station, its edges lovingly sealed with Scotch tape, yellow with age, Bowie’s black and white outward gaze fading. I liked the simplicity of the album’s appearance; red type on white, capitalized and bold, the words running into each other. The package did more than suggest that the album would crackle and fizz like a Pop Rock once I dropped the needle, but I wanted to hear it. Since then, Station To Station is gospel I’ve had no trouble preaching. Aware of the awesome that is Bowie’s tale of “The Thin White Duke” and the influential nose candy that courses through his soul, EMI is delivering a very expanded version of the album. Hollywood, California – July 9, 2010 – Virgin/EMI is pleased to announce September 28 as the North American release date for David Bowie’s hugely influential 1976 album, Station To Station, in two expanded packages: a 3CD and digital Special Edition and a limited edition 5CD, DVD (Audio) and three 180gram vinyl LP Deluxe Edition. Both new editions include the original album, remastered from the analogue master, and the much-bootlegged, but previously unreleased concert favorite, Live Nassau Coliseum ’76, as well as new liner notes by Cameron Crowe. As exclusively announced by BowieNet (www.davidbowie.com), September 20 has been confirmed as the European release date. The 3CD Special Edition features the remastered original studio album on disc one, plus Live Nassau Coliseum ’76 on discs two and three. Packaged in a lift-top box, the set also includes a 16-page booklet and three David Bowie postcards. The Special Edition will also be available for digital download purchase with an exclusive bonus track, “Panic In Detroit” (unedited alt. mix), from the recordings for Live Nassau Coliseum ’76. - CD: 5-track Singles Versions EP including a previously unreleased version of "Station To Station," and for first time on CD, "Word On A Wing"
*Along with the 5-CDs, it’s all housed in a foam-packed box, 325x325x50mm. Digital release: The 3-CD set is also available as a Digital download. CD 1: Station To Station (original analogue master) – track listing same as above. CD 2: Station To Station (1985 RCA CD master) – track listing same as above. *CD 3: Singles Versions E.P. The first single released from the album Station To Station, it was released in edited form in November 1975 (RCA 2640), appearing the following year in full-length on the album. Released in edited form as the second single from Station To Station (RCA 2682) in April 1976. The single peaked on the singles charts at number 33 in the UK and number 64 in the U.S. 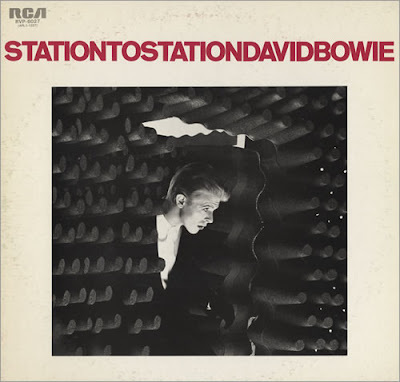 This edit was released as the third single from Station To Station in the US (RCA PB 10736) in July 1976 and several other countries outside the UK. Appearing on the reverse of the original Stay single (RCA PB 10736) in July 1976, this particular edit is making its official debut here on CD. This is an extremely edited version (down from 10 minutes 13 seconds) appeared on a very rare French factory single sample (RCA 42549) in 1976. This edit eliminates the entire first part of the song. This marks its first official release. Which one do you think you'll get? I'm tempted of course to get the super deluxe limited edition, but the special edition might be more realistic. I'm actually glad more bands/musicians don't do packages like this, because I'd run out of money pretty quickly...! I'm likely to have to go with the Special Edition, which is just as well. The live stuff and remastering seem the true benefit to the reissue, other than maybe that singles EP. I think the Super Deluxe is mostly meant for audiophiles. It's a beautiful set, though.